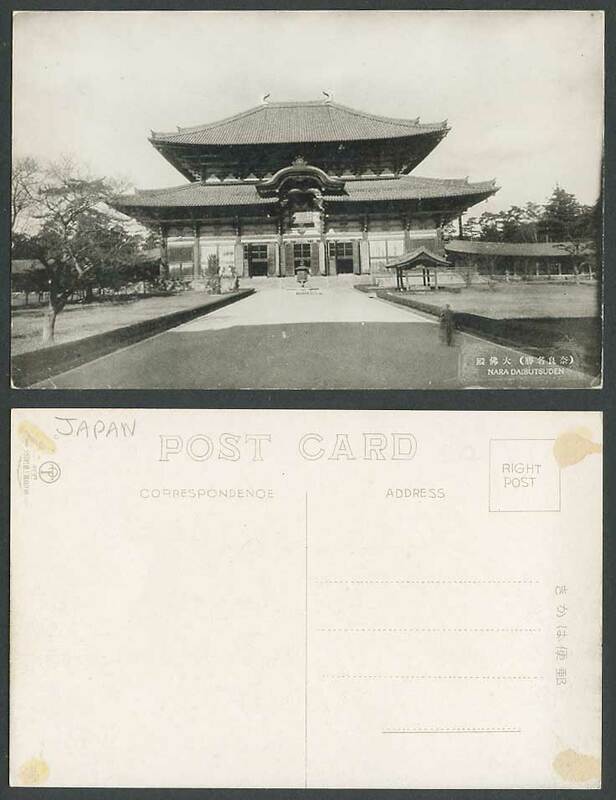 Vintage Japanese Old Post Card, Japan, Daibutsu Daibutsuden of Todaiji Temple. NARA. Great Grand Hall. 東大寺 大佛殿 奈良.